This month we released a new video about CHG (Chlorhexidine Gluconate) Treatments and another about Home Health Care Services. The order confirmation screen now includes a button to quickly copy a link for your patients. This link will enter the code for the patient and start them off at the agreement screen. The patient directions screen now include links to automatically enter the code for your patient and take them directly to their agreement screen. Administrators can now activate and deactivate multiple users at a time. Fixed an issue where the user tab was slow to load. Search functionality has been improved to highlight search terms and show videos and documents. Support for surveys in English has been added. 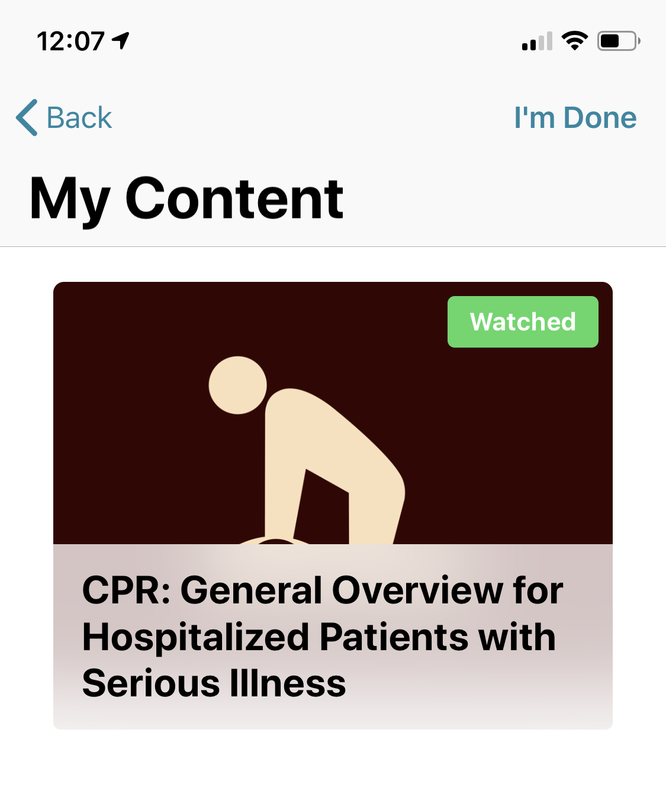 The patient experience when redeeming a code now shows whether a video or document has already been viewed. Design improvements for iPad Pro and newer devices. Bug fixes and stability improvements for iOS 12.2.